Preheat the oven to 350 F (180 C). Combine the coconut flour, almond flour, erythritol, baking soda and baking powder in a bowl. In a separate bowl, whisk together the melted coconut oil, coconut milk, and eggs. Add the wet mixture to the dry mixture and use a wooden spoon to stir well to combine the batter. Spoon the batter into silicon donut molds (we used mini donut molds) which has been placed on a tray. For the glaze, place the chocolate into a medium-sized pan on a medium heat and add the ghee. Let the chocolate melt and mix with the ghee. Then stir in the sweetener (add more to taste). Remove the pan from the heat. 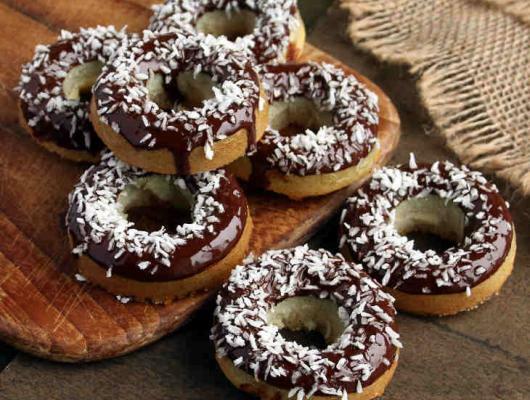 Dip the donuts one at a time into the melted chocolate, then dip into a bowl of desiccated coconut. DESCRIPTION: Food temptation is everywhere, and it can be hard to resist. 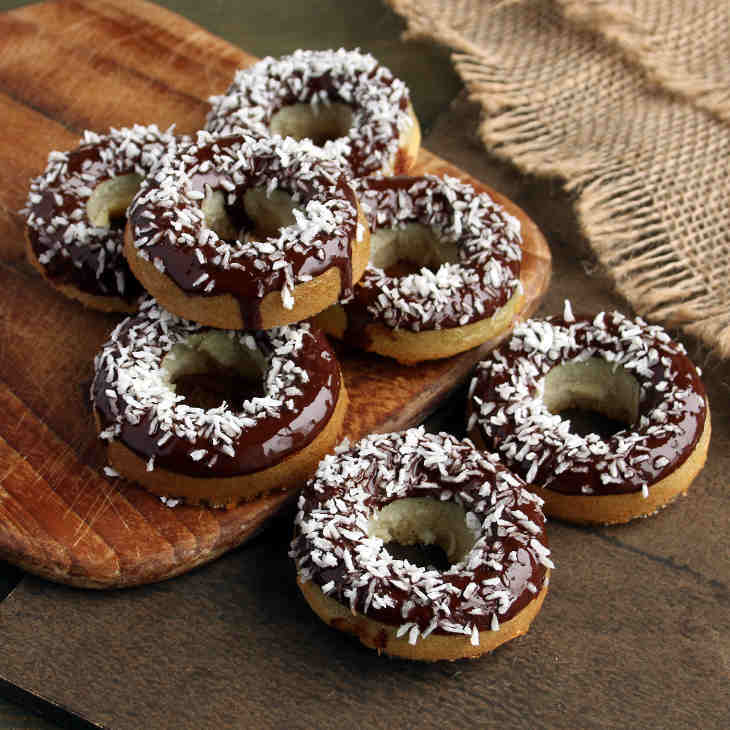 Calm your urge to cheat on your diet with this delicious keto donuts recipe.